Specsavers and JCB have launched a new range of glasses, designed for children with a passion for diggers. Maximum comfort and extreme style! The bold range of six different glasses, which are in stores now, was created with adventure loving kids in mind. With sturdy acetate frames and soft rubber temple tips, the JCB collection features both Joey JCB, the friendly character who loves getting muddy and dirty, and authentic JCB branding. To celebrate the fun new frames, Specsavers held an official launch on Saturday 8 April at its Manchester Fort store with a jam-packed day of family fun. 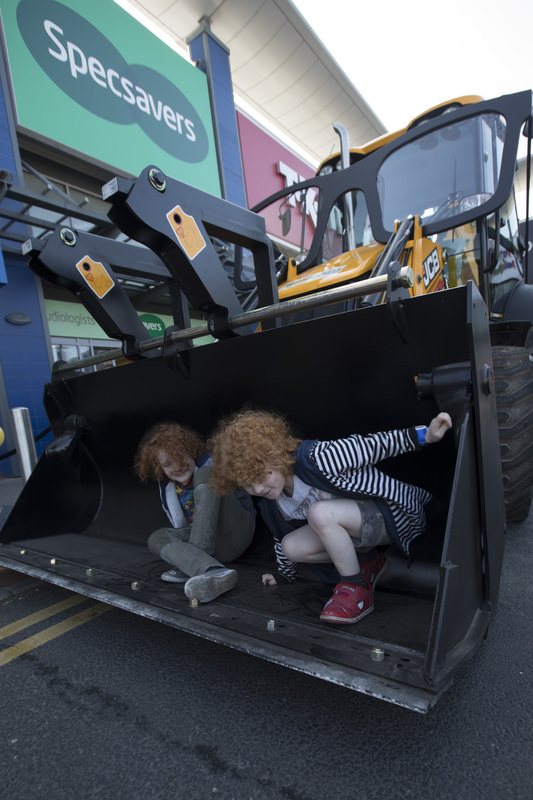 A face painter was on hand to turn everyone into a mean machine for a day and a real JCB Digger was parked just outside the store in Manchester Fort Retail Park so that children and families could take a selfie in front of the iconic machine. Retail director of the Manchester Fort store, Peter Dodd, said: ‘We’re really pleased that the official launch of these fun new frames took place at our store. At Specsavers, all under-16s get a free NHS eye test. All glasses in Specsavers’ kids’ are £64 and teens’ £85 ranges are free with under-16s’ NHS funding. Specs wearers can also choose a second pair from the £64 or £85 range, free. All JCB Kids frames come with single-vision lenses including UV filter and are part of our kids two free pairs offer.